The former First Minister was a polarising figure but eventually became key to Northern Ireland's fragile peace process. 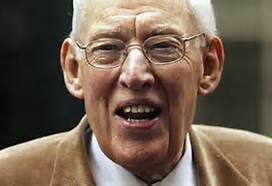 Protestant preacher and former Northern Ireland leader Ian Paisley has died at the age of 88, his Democratic Unionist Party (DUP) has said. After years of opposing reconciliation with Irish Republicans in the British-ruled province, Paisley's unlikely alliance with his Catholic rivals helped belatedly to bring peace to Northern Ireland. Paisley was one of Northern Ireland's most polarising politicians throughout its three decades of civil strife, during which the evangelist's blistering oratory was often blamed for fueling the bloodshed that claimed 3,700 lives. In 2007, however, he delivered the province's first stable unity government between Protestants and Catholics. "Dr No," as he was widely known, finally said yes, and his powerful U-turn cemented a peace process that he had previously done so much to frustrate. From the conflict in Northern Ireland's earliest days, Paisley had prophesied damnation for any Protestant politician or church leader who dared to build bridges with the Catholic Church and Irish nationalists. As the leading light of hardline Unionism, which wants to maintain links to the United Kingdom, he had opposed any concession to the mainly Catholic nationalist community's desire for closer ties with the Irish Republic to the south. He refused to join the talks that led to the Good Friday agreement that provided for a power-sharing government between the main Protestant and Catholic communities, objecting to sharing a table with Sinn Fein, the political ally of the Irish Republican Army (IRA) guerrilla movement. He consistently opposed the agreement as a sell-out of Northern Irish Protestants' British heritage, and his mantra of "No surrender" to the IRA appeared to make him ill-suited to run the province when he became first minister in 2007. Once in office, he forged an unlikely friendship with Deputy First Minister Martin McGuinness, a senior Sinn Fein figure and a former member of the IRA, with whom he gained the nickname "the Chuckle Brothers". "I think we confounded the world by him, a pro-British, pro-Unionist politician, being able to work in a positive spirit with myself, an Irish Republican," McGuinness told the Irish national broadcaster RTE. "A friendship grew out of that, and it's a friendship that lasted to this very day." Yet at Paisley's insistence, they never shook hands. McGuinness said he understood and did not push the issue. Paisley stepped down as leader of the government and the Democratic Unionists in 2008. The coalition between his party and Sinn Fein continued to govern Northern Ireland with harmony, but far less humour. He retired from the House of Commons in 2010 and from Northern Ireland's Assembly in 2011. The British government elevated him to the upper House of Lords, giving him the title Lord Bannside, a reference to the river that divides Northern Ireland. He is survived by his wife, three daughters, two sons and many grandchildren.